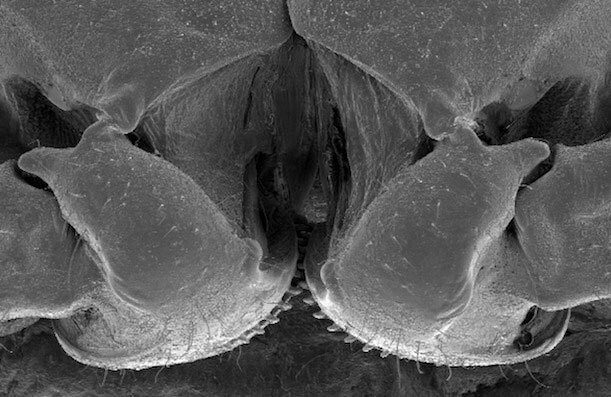 Scientists have discovered gears in an insect. It turns out the gears you find in bikes and cars aren’t really a manmade invention. The mechanisms of biology are absolutely fascinating. As you observe juvenile planthoppers (Genus: Issus) in the photographs and videos below notice how all of its hind leg joints work in perfect unison. 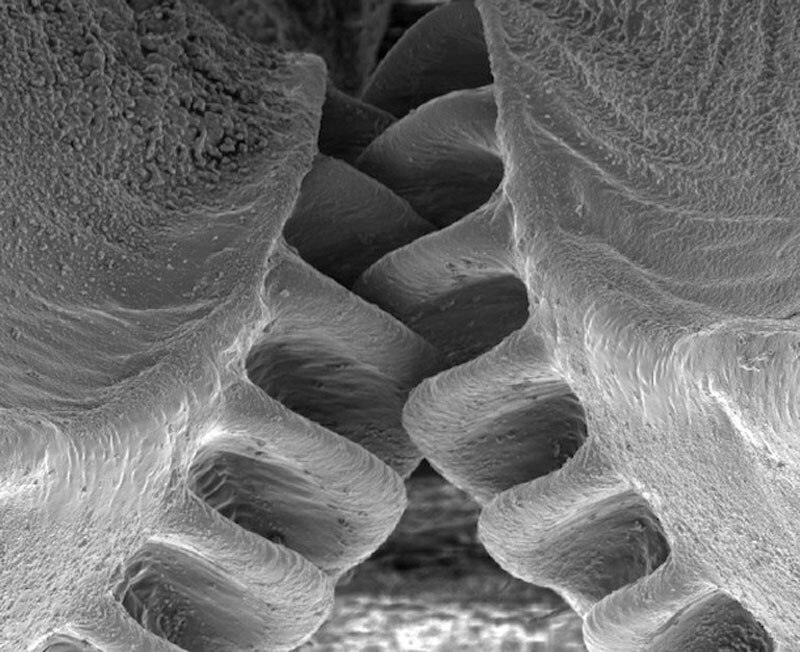 You may think you’re looking at mechanical gears in a watch or something at first, but it’s actually the animal’s legs that are perfectly synchronized as it jumps into action. “This precise synchronization would be impossible to achieve through a nervous system, as neural impulses would take far too long for the extraordinarily tight coordination required,” said lead author Professor Malcolm Burrows, from Cambridge’s Department of Zoology. “By developing mechanical gears, the Issus can just send nerve signals to its muscles to produce roughly the same amount of force – then if one leg starts to propel the jump the gears will interlock, creating absolute synchronicity. If you thing this is interesting, check out these amazing photos of the discovery of King Tut’s tomb seen in color. Be sure to give this post a thumbs up and a share with your friends on Facebook before you go.